So, today is International Stout Day. I recently discussed stout beer, Guinness in particular, on Arthur’s Day, the 28th of September. But what the heck, I don’t need too much convincing to return to this lovely, dark, malty style of beer again. And of course Guinness, despite being the most famous of the stouts, is far from the only stout beer out there. 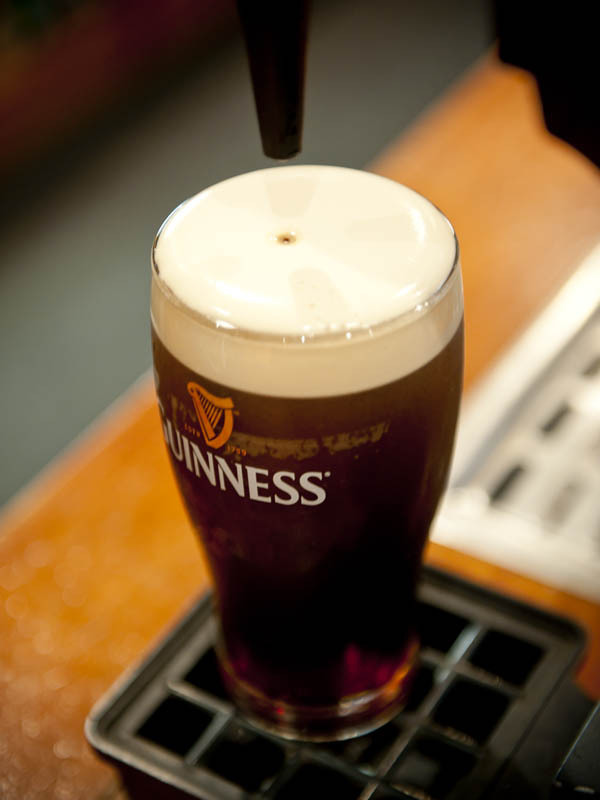 Guinness is an example of an Irish Stout, also known as a ‘Dry Stout’, one of a range of traditional stout styles. Dry stouts tend to be very dark in colour, with a toasted, coffee-like taste. Because of their robust taste they are often thought to be quite high in alcohol, which is not always the case – a can of Guinness Draft, for example, has only 4.2% alcohol – lower than many standard lager beers. The second main stout category is the ‘Imperial Stout’, a stout beer of Russian origin, which is also quite dark, but with a brown, rather than black, hue. This is typically the strongest of the stout beers, with alcohol percentages often up towards the 10% mark. A stout hearty enough to curl a Russian bloke’s chest hair, Imperial stout was traditionally a popular drink to warm the cold winter evenings. Another style of stout is the ‘Milk Stout’, also dark in colour, but often low in alcohol. The main feature of a milk stout is the addition of milk sugar, or lactose, to the brew, making it sweeter and smoother than dry stout. Finally, ‘Oatmeal Stout’ is very similar to milk stout, but has an even smoother and sweeter taste, thanks to the addition of up to 30% oatmeal. The ‘oatmeal and milk’ image associated with this type of stout has helped strengthen the idea of stout beer as a hearty meal in it’s own right. The nutritional value of oatmeal stout made it a popular choice in centuries past for nursing mothers and athletes in England . Beyond the traditional categories above, stout beer is still developing and evolving, with various new styles appearing, such as the ‘American-style Stout’, a medium-bodied malt beer with hints of caramel and chocolate, created using various specialty malts. Often quite dark-roasted, with a burnt-coffee flavour. Stout beers are also quite popular with home-brewing enthusiasts, and I fondly recall one of the more pleasant beer-tasting experiences I’ve had, at a get-together of the Wort Hog Brewers Club in South Africa. One enterprising home brewer had a specialist stout he called his ‘Black Forest Stout’ – a traditional, full-bodied dry stout with chocolate and berries added to the brew to create what I can only describe as the liquid equivalent of a dark, moist black forest cake. Lovely stuff! I unfortunately don’t have access to a black forest stout at the moment, but I’m sure a glass of Guinness from my local pub will more than adequately hit the spot.